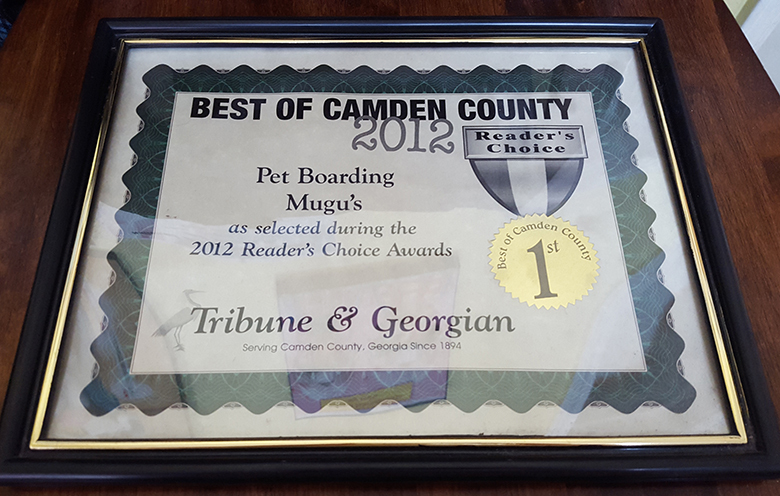 Your dog will feel right at home in our boarding suites with their own bed and outdoor area! 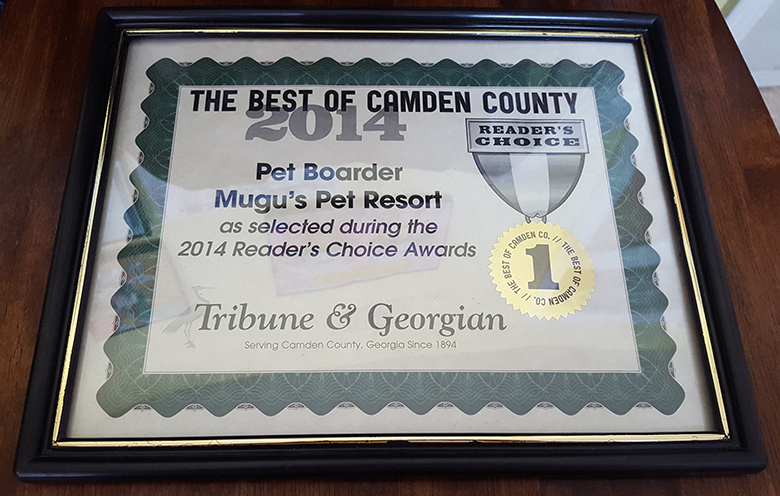 We have highly trained, fully certified employees monitoring your dog and keeping them fully involved in the fun! 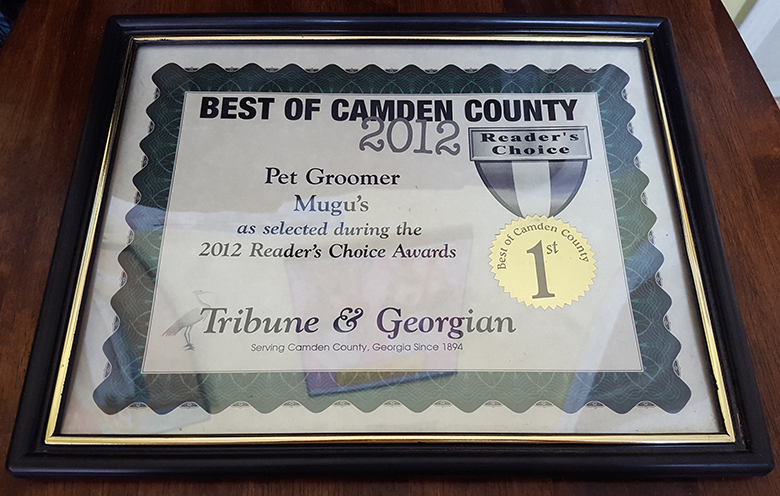 Our groomers have over 30 years collectively of grooming experience and are here for all your pooche's needs! 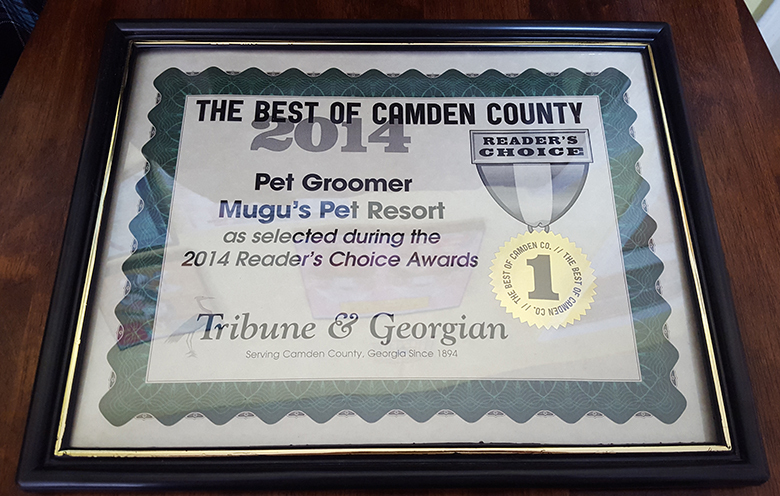 Our spa services are truely the best around, we personally take care of all your dogs needs. 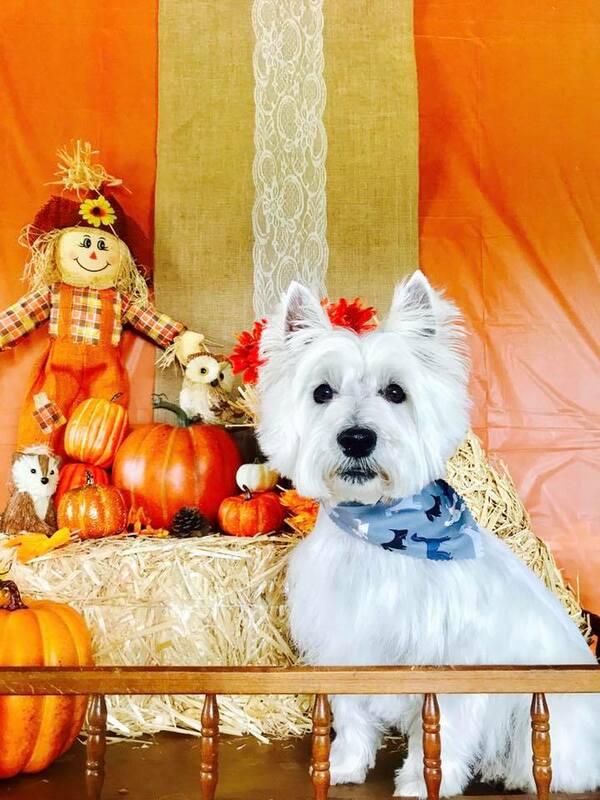 From ears to nails! 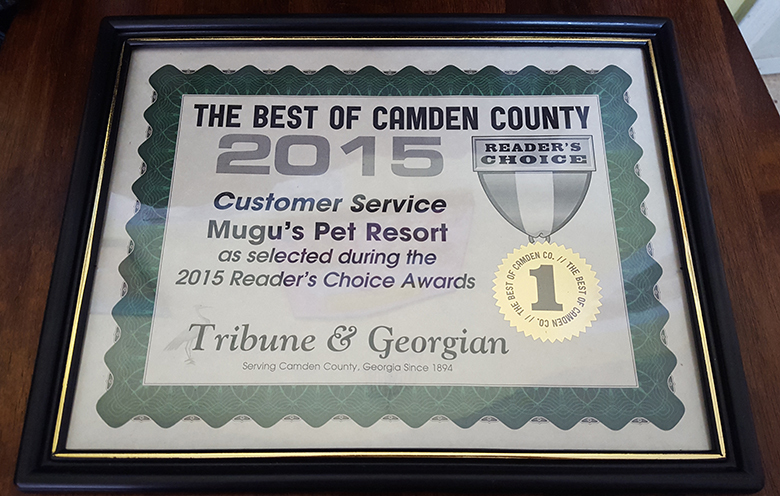 Mugu's Pet Resort is the full spa package for your pooch. 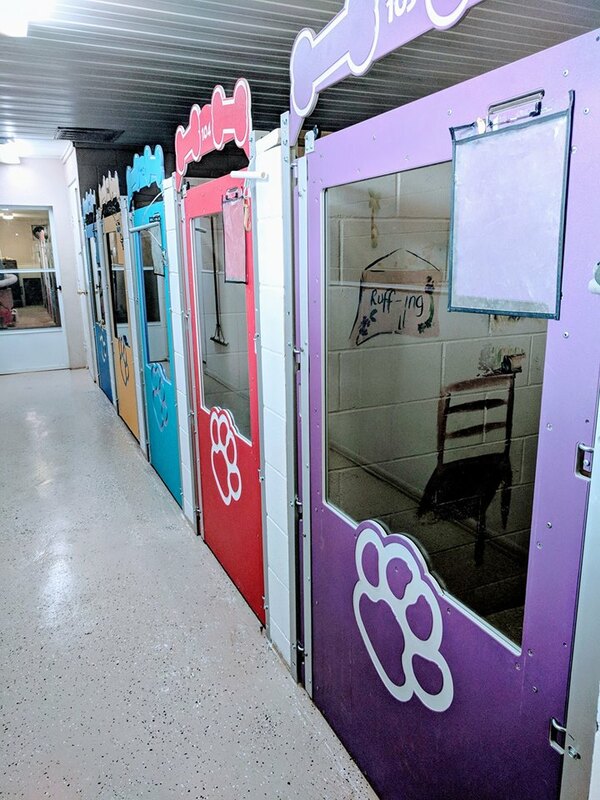 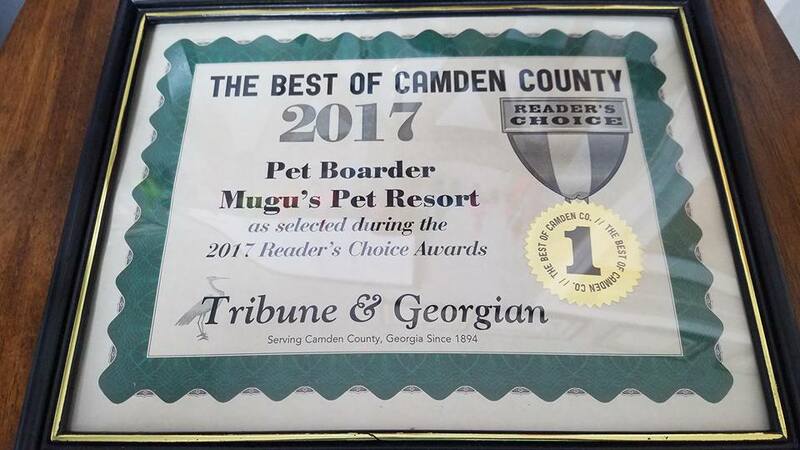 We are a cage free environment designed for maximum fun - Mugu's cage free doggy daycare is closely monitored by an expertly trained staff to ensure everyone has a safe and enjoyable time. 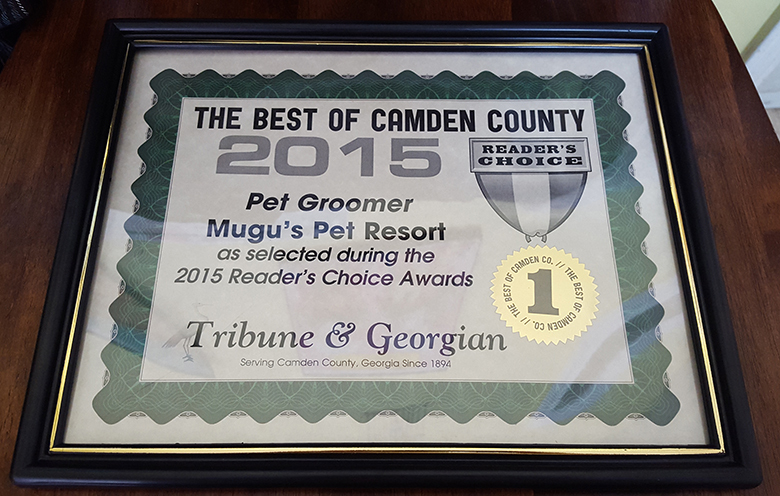 The grooming services offered by Mugu's spa are truly second to none. 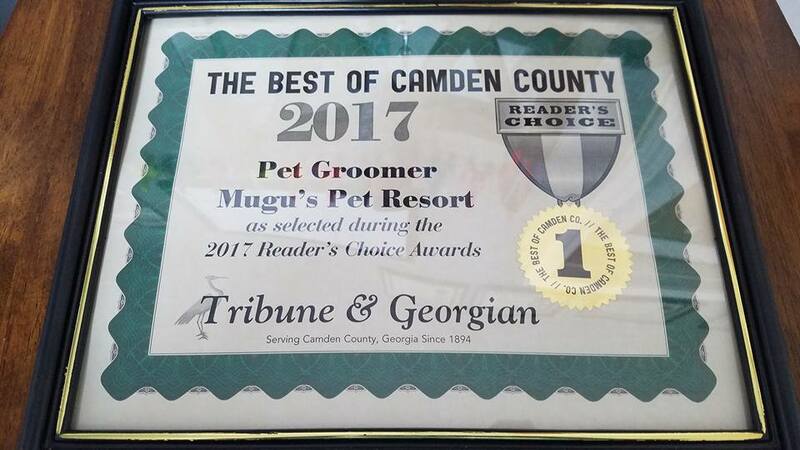 Every spa begins with a bath in premium all natural shampoo with our one-of-a-kind hydro-surge system followed by either natural air drying or hand blow drying. 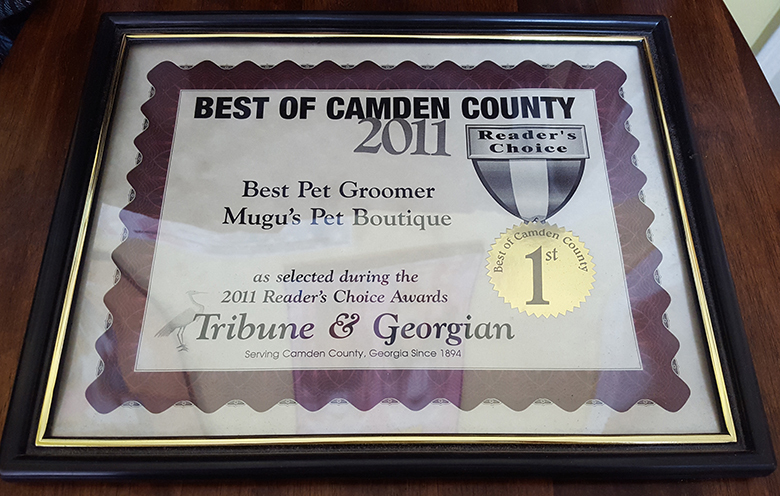 Our professional groomers will then style your precious pup's hair making them the talk of the town. 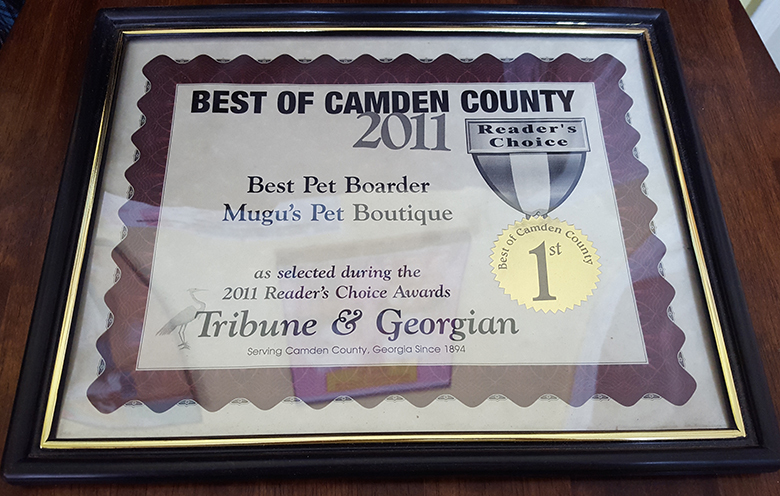 Completing the spa is the nail trim, ear cleaning, and teeth brushing. All this starting at only $30.00 (Speak with a recepionist for an exact quote) makes Mugu's not only the best quality but also the best deal. 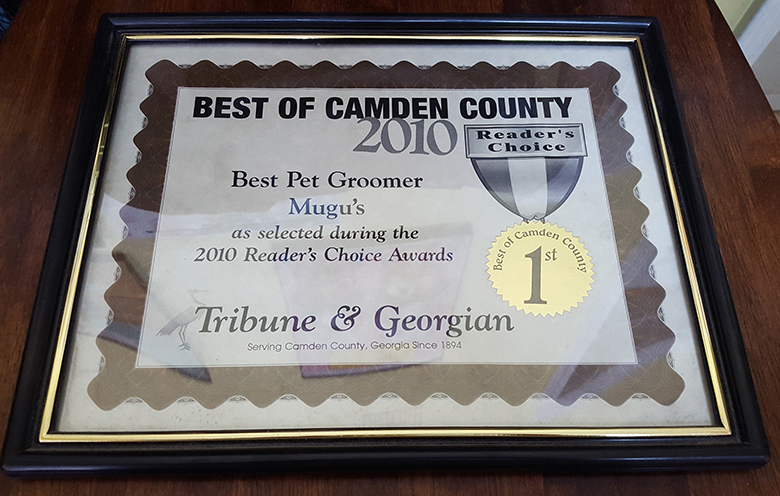 Mugu's believes in giving people more than they pay for and their grooming services are just one example. 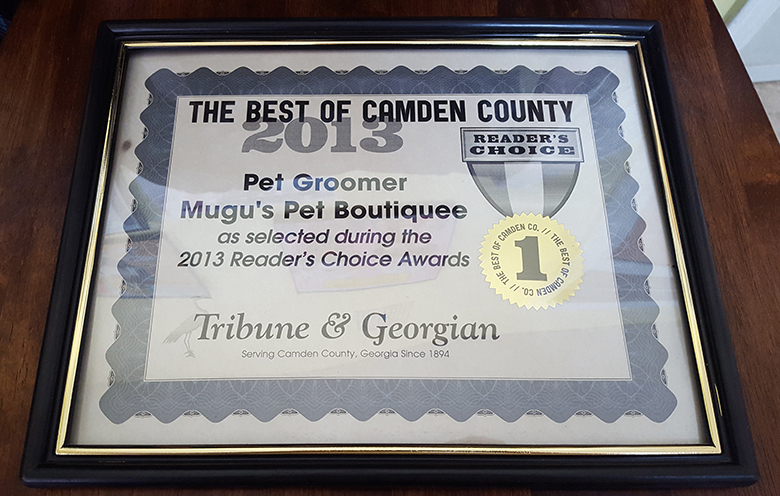 Having been featured in prominent industry magazines, such as The Pet Elite, shows that Mugu's is truly the exception to the rule. 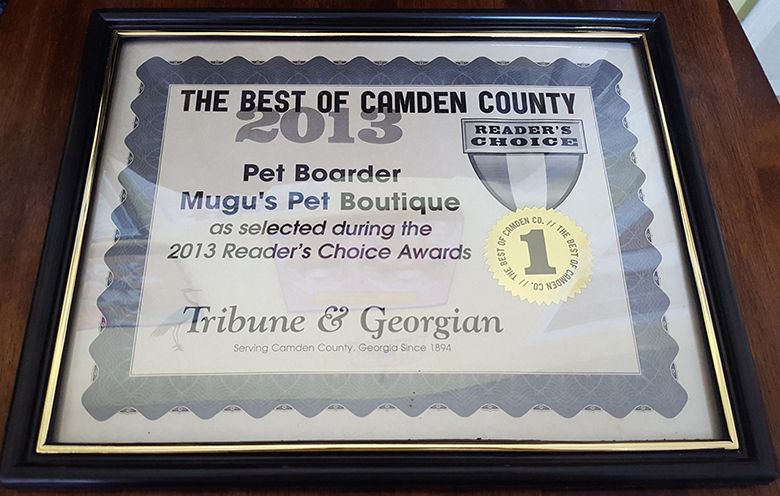 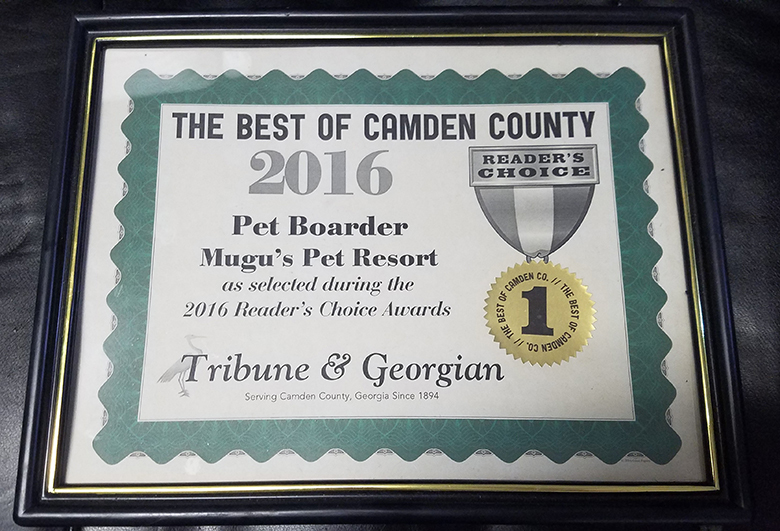 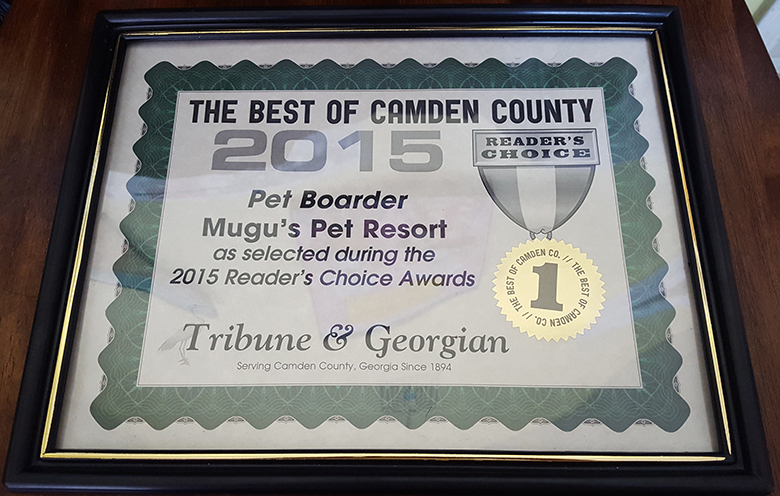 Mugu's pet resort has been voted best in Camden County 9 years in a row!  (2010-2018), and with good reason. 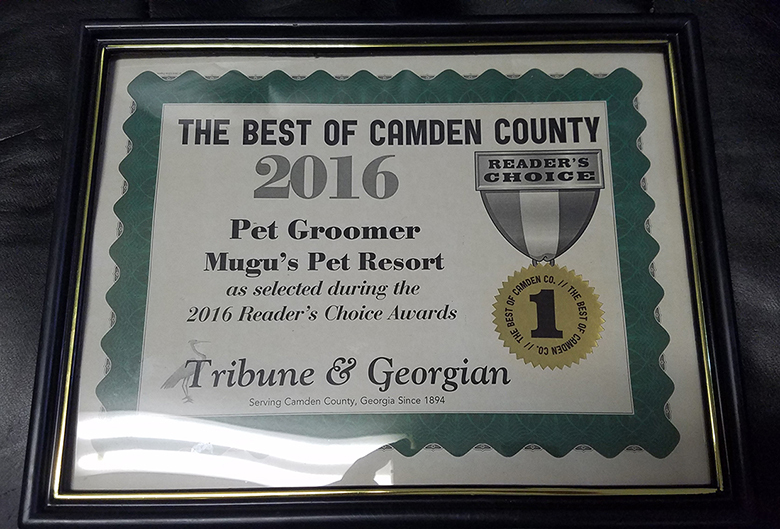 We strive to make your animals as comfortable and relaxed as possible; we go at your dog's pace, making the experience stress-free! 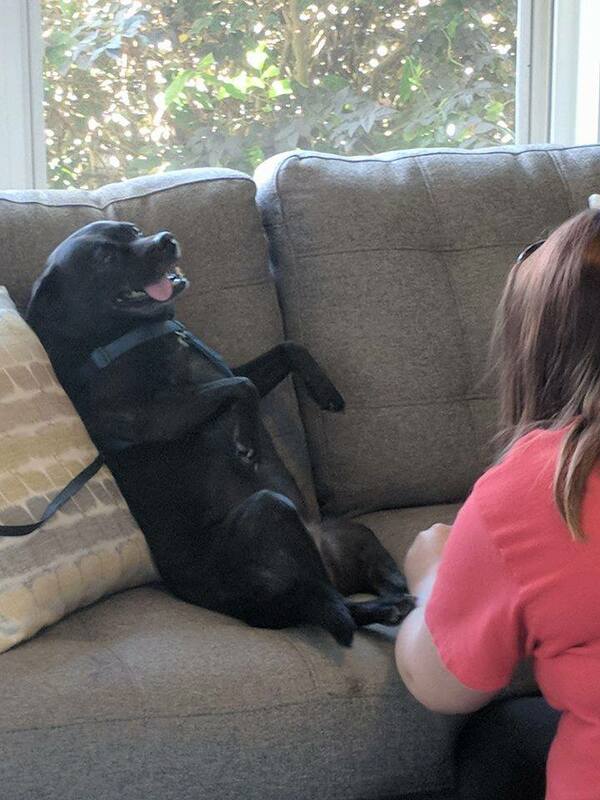 Still curious? 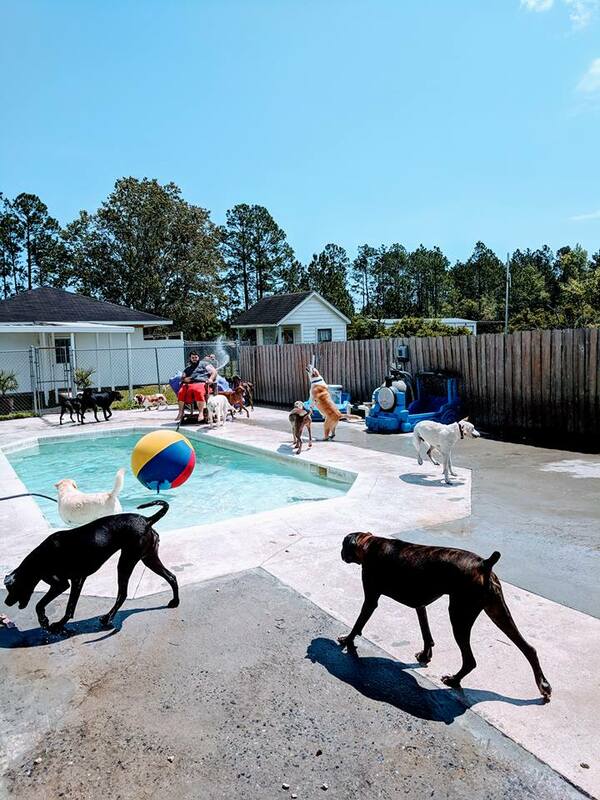 Join us on Facebook to see how much fun your pet could be having.